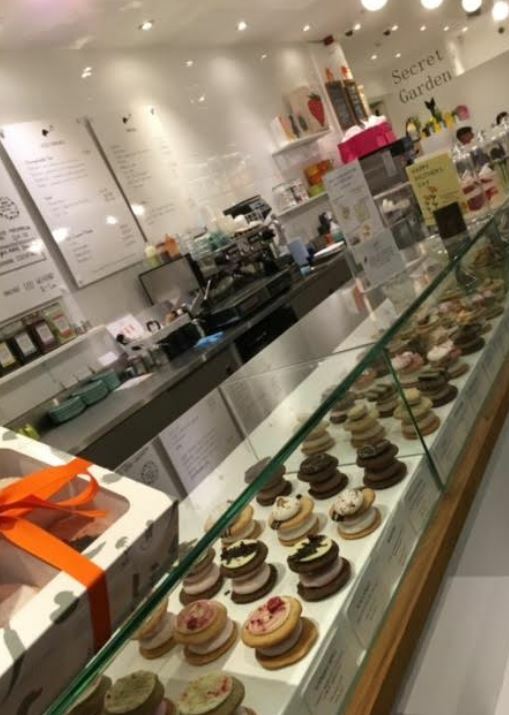 It’s Soho and so you expect something a little different but a place where the core principle is to REDUCE the amount of sugar in cakes, frostings and related sweet treats isn’t one of them. Yes, I wrote that in capital letters because I don’t think you’ll believe it. 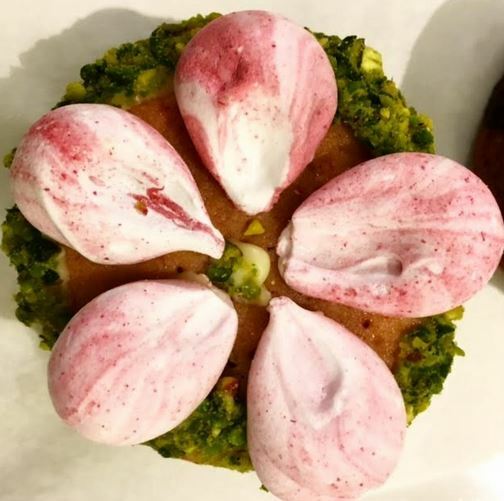 A cake shop that is working to create the perfect recipe that is lower in sugar not by replacing it with other sugars like fruits and honey but by simply using less and adjusting recipes so it works. And it does work and you won’t know you’re eating les sugar. The unique approach the sisters take has baffled other chefs (including one celebrity chef) and yet their following has only grown. While they aren’t marketing themselves strictly as reduced sugar or diet or any such gimmicky tactics, it is core to what they do – and I loved it. I was treated to an interview with the owners of the brand who work tirelessly on recipe development with reduced refined sugar and innovative taste – with mixed results. Sometimes weeks are spent trying to get a recipe right only for it to have to be completely discarded. Other times something just clicks and the recipe flies off the shelf. Cutter & Squidge’s loyal following often put pressure on the duo to keep seasonal recipes but they are committed to fresh ingredients, ethical sourcing and quality. They don’t sacrifice quality in anything they do and it shows. From Biskies to cake, everything is delightful. 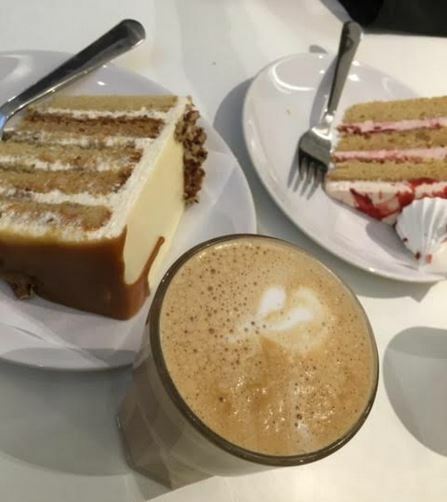 I tried one of the layer cakes and even with the reduced sugar frosting (nothing added – just sugar taken away) it was still perfectly sweet and delightful. 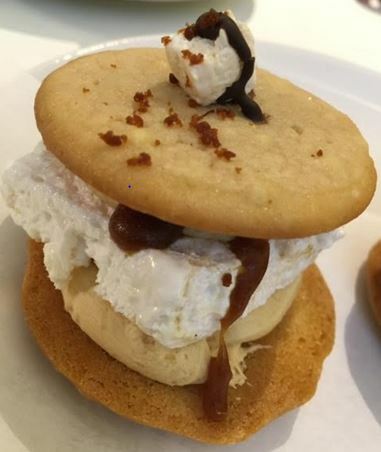 I always go for salted caramel and I was rewarded with a feast for the eyes and the palate. Deliciously moist sponge, sweet frosting and dollops of salted caramel. The slice was huge as well so portion sizes are generous. Probably my favourite – though still huge – were the biskies. They are two large fluffy cookies with a icing and extra filling making it a deliciously moreish cookie sandwich. I tried tiramisu, salted caramel, a fruit inspired one and a nuts inspired one and they were all brilliantly executed. The tops of the biskies are decorated beautifully and the taste is perfectly balanced without being too sweet given the inclusion of icing. In fact the salted caramel was absolutely amazing and my diabetic husband was able to enjoy the tiramisu. They also have a line of exquisite teas and ethically sourced coffee. They are very particular when it comes to what they serve in the shop and it shows. They aren’t just innovating in the kitchen and ethically coursing their ingredients – they are careful about every part of their business. From their shop in Soho, Cutter & Squidge are both doing something innovative and weirdly healthy. They want us to get hooked on treats with a lower sugar content naturally, eat with awareness, choose quality and never compromise. I couldn’t agree more. 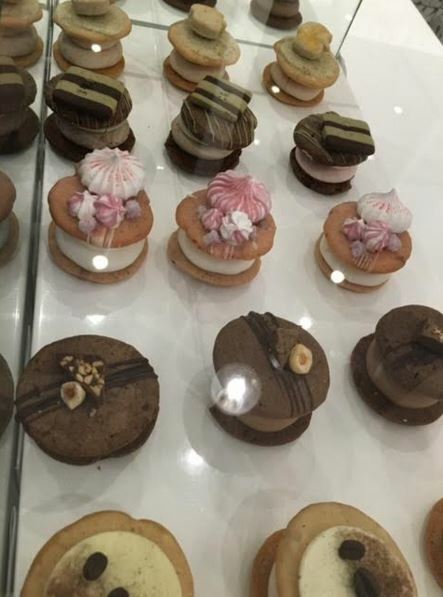 You can visit the sisters’ shop in Soho any day and taste their creations with your eyes as well as your mouth.